The Britain of the Roman Occupation is, in a way, an age that is dark to us. While the main events from 55 BC to AD 410 are little disputed, and the archaeological remains of villas, forts, walls, and cities explain a great deal, we lack a clear sense of individual lives. This book is the first to infuse the story of Britannia with a beating heart, the first to describe in detail who its inhabitants were and their place in our history. A lifelong specialist in Romano-British history, Guy de la Bedoyere is the first to recover the period exclusively as a human experience. He focuses not on military campaigns and imperial politics but on individual, personal stories. Roman Britain is revealed as a place where the ambitious scramble for power and prestige, the devout seek solace and security through religion, men and women eke out existences in a provincial frontier land. De la Bedoyere introduces Fortunata the slave girl, Emeritus the frustrated centurion, the grieving father Quintus Corellius Fortis, and the brilliant metal worker Boduogenus, among numerous others. 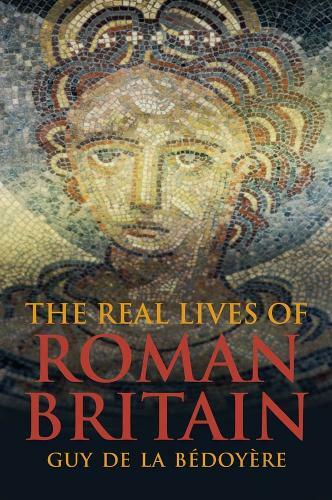 Through a wide array of records and artifacts, the author introduces the colorful cast of immigrants who arrived during the Roman era while offering an unusual glimpse of indigenous Britons, until now nearly invisible in histories of Roman Britain.